"I've lived many lives already," says Joan Wasser, best known as Joan As Police Woman. And her creative output has been so prolific that the idea of multiple lives doesn't seem so unlikely. Wasser's credits include not only five Joan As Police Woman albums, but also a body of work recorded with her bands The Dambuilders and Black Beetle - and that's not even counting her many collaborations with other musicians. 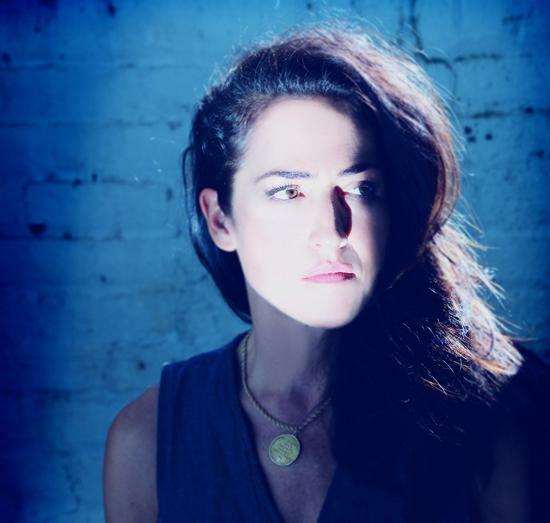 A violinist since she was a small child, Wasser has contributed strings and vocals to projects by other artists including Antony and the Johnsons, Elton John, Lou Reed, John Cale, Dave Gahan, Sparklehorse and Rufus Wainwright. Her latest album The Classic finds her exploring musical terrain that is both new and old for her. There is a soul influence which marks a sonic departure for the band, but Wasser says this is the music closest to her heart since she grew up with it. She spoke to the Quietus from Milan on the day of a concert stop that was part of her European tour. Joan Wasser: It's going fantastically. We're a month in. It's my favourite tour. Everyone gets along. Everyone is responsible. The level of musicianship is really high. And the response that we've gotten across the board is really positive, so you can't ask for much more than that. There's a really great soul influence on The Classic. How did you end up going in that direction? JW: I didn't plan on going in any direction. I just wrote the songs that came out of me since the last record. Growing up as a kid, AM radio was playing Jackson Five. The hits then were Jackson Five, Diana Ross, so that's the music that I heard first, and I think that's probably the music closest to my heart, because it was there first before I learned anything about music myself. That's what was going into the sponge. The more comfortable I become writing songs and singing, the more of that inspiration I let out of myself. How long were these songs floating around? JW: I had one written before I started focusing on writing at the end of 2012. We started recording in April, so for about eight months or so maybe. I did a bunch of solo shows to work the songs out and to play the songs in a place that wasn't my home. That really helps me learn about the songs. Often they're finished when I think they're not. When I perform them they feel complete, where they often don't feel complete when I'm working on them in front of my piano or guitar. So that's really a really helpful tool. What role do lyrics play for you in songwriting? JW: Often I learn about what is in my mind through the lyrics, because I always start with music and then just start aimlessly singing. But of course it's not really aimless, because your subconscious - there's a lot in there. A lot going on. So much of what I'm tangoing with will come out the lyrics, sometimes almost finished. Certain words will come out and they will remain in the song, and I will fill in around the original idea. Do you have any habits or rituals that you use to get yourself in a creative state of mind? JW: I definitely don't try to push it if it isn't there, because that can just create so much frustration and that is never going to create inspiration. Usually, when I start playing, something will happen. Maybe I'll use it in another song. Maybe I won't use it for a couple of years. Something will happen musically. Maybe there will be no lyrics. At times when I have really felt like I wasn't liking what I was writing or it was going in a direction I wasn't loving, I will imagine writing a song for someone else. On my first record, I imagined writing a song for Whitney Houston. Of course it doesn't sound like a Whitney Houston song. But it brought the inspiration to the surface that wouldn't have been there just because of her whole thing. She was still alive then. When you are trying to describe a sound you're going for to your bandmates, how do you describe it? Do you use musical terms or reference other musicians or draw pictures, or something else? JW: I try to say nothing initially. I finish the songs completely before I bring them to my band, because I feel like the songs should be able to be performed solo if they're good enough. Usually I try to say nothing about them, so I can allow the band to be completely open creatively; so they can make what they feel works best with a song. If it's going in a direction that doesn't feel right, yes, I use musical terms. Yes, I use imagery. Yes, I talk about other bands or the feel of bands or the feel of a time or sentiment. I think I use pretty much every kind of descriptive possibility. I know for me, when I am trying to create music for someone I'm collaborating with, I can get what they're looking for through many different paths. They might say, "I want it to sound like Patti LaBelle." But not until they say, "I want it to sound like wind whipping around a building" will I get it. It's such a nebulous territory concerning what will happen musically [when you are] inspired by words. You played the violin for a long time before you started singing. When you're playing violin as opposed to singing, do you have different goals? Do you approach the two things differently, as far as your mental space is concerned? JW: Because I studied the violin, I have a certain relationship with it that I certainly transferred over to my voice when I began singing. Sometimes when I play violin I hear quotes that my teachers said to me. Because I never studied voice, I don't have those words. I know that I'm a perfectionist. When you study three instruments, you're never good enough. [laughs] You never hear, "Wow, that was perfect!" ever. And that's great in a way because it taught me about discipline and the really obvious idea that the more you practice, the better you get. When I started singing, it felt so naked and revealing and terrifying because I was an adult. When I started violin, I was eight. You're not scared then. You haven't learned to feel bad about yourself. When I started singing in my later twenties, it was terrifying. It was very vulnerable sounding and soft and all the things I spent my teenage [years] and early 20s pretending I wasn't. "I am not soft. I am not vulnerable. I have no fear." All those veils were stripped away when I began singing. Learning to sing comfortably meant learning to be comfortable with myself, [that] was a long process. Also the fact that I didn't immediately sound like Nina Simone! That was a large problem. [laughs] Of course I had learned that practicing was the key to making the music I wanted to. Still, I thought, "Well, haven't I experienced enough pain to be able to sing like Nina Simone?" When actually you have to practice, so that everything you want to come through your voice can. If you had to identify yourself with any archetype, what would you choose? JW: Oh, dear lord! [laughs] That's a very difficult question. Well, I was named after Joan of Arc, so throughout my life, that's just been present. When I was a young girl, I figured I might not make it to twenty, like she didn't. It's not like I thought I was gonna die. It was just this strange thing that the person I was named after had a very difficult and very early death. I'm certainly a survivor. I don't know if that's an archetype. What counts as an archetype? Maybe a character from mythology or folklore or a concept like a warrior or a healer? JW: I see. This is not a question I've ever been asked before, so thank you, but I don't have the answer! In attempting to answer this question I will say that I definitely feel like I've lived many lives already. I feel like I've sort of lived as the same person through many lives, because I feel like I've changed a lot. Thankfully! [laughs] But I'm not sure how that relates to archetypes.